Subscribe or change your subscription to the E-mail version here. Remember what I said about winter in the Twin Cities? Well, it seems that we are in for another April snowstorm. We are expecting a mix of snow, ice, and wind over the next couple of days. Hopefully, this will be the last of the snow and ice for the season. I am more than ready for spring! 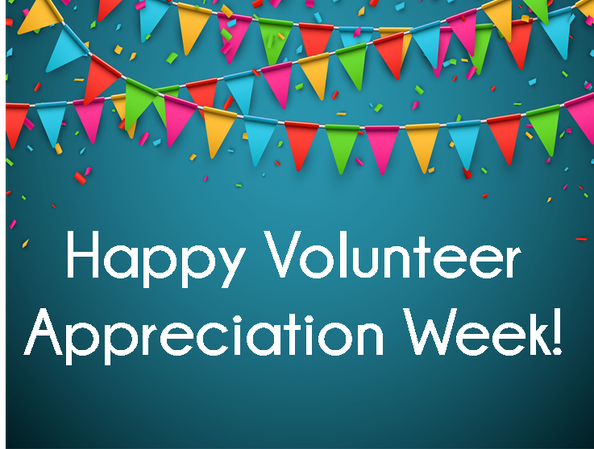 This is Volunteer Recognition Week. 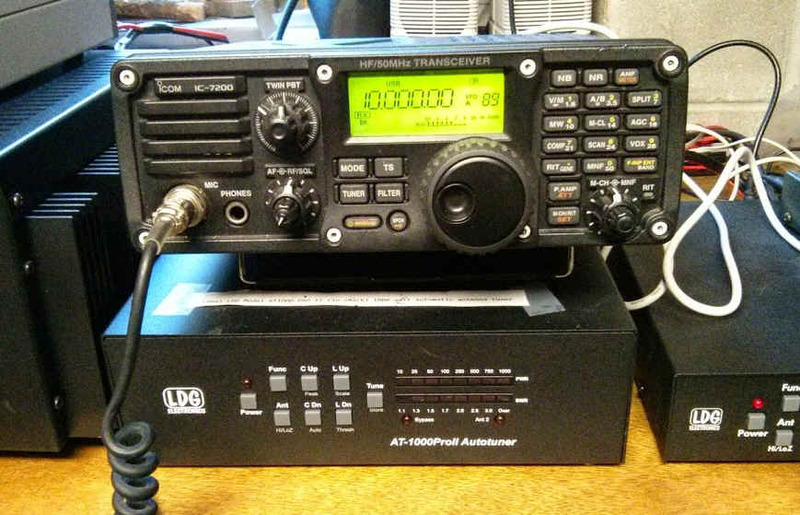 The Handiham Program could not fulfill its mission without the service provided by many faithful volunteers who do everything from representing the Program at ham radio events, Elmering Program members, and teaching Radio Camp classes to recording magazines, books, and tutorials for the website. Handiham Program volunteers complete paperwork and a background check and must complete annual compliance training to remain active. We appreciate their commitment to help amateur radio operators with disabilities. We have a new podcast feed titled “Handiham World.” You may have already noticed that there is a new player that appears below the E-Letter on the website. There are also new subscribe links below the player and in the E-Letter. Radio Camp applications continue to come in for the 2019 Radio Camp at True Friends Camp Courage North. Because space for camp is limited, we are accepting campers based on when they requested and turned in their completed application packets. If you have questions or if you want to attend and have not requested an application, please contact Pemdy as soon as possible. If you are having trouble receiving your E-Letter, you can always go to https://handiham.org/wordpress1/weekly-e-letter/ to see the latest E-Letter. Additionally, you can go to https://handiham.org/audio/handiham.mp3 to listen to the current podcast. These links are updated each time a new E-Letter and podcast is released. Due to the current storm, Pemdy and I will not be in the office tomorrow. We will be in the office during our usual hours next week. If you call the Handiham Program office, and we do not answer, please leave a message. When you leave a message, don’t forget to leave your phone number. Also, if you send an email, please include your name along with your call sign if you have one to speed up the response time. As always, if you need to update anything like your contact information, call sign, license class, membership, or members only log-in information, you can email us at handiham@allina.com. 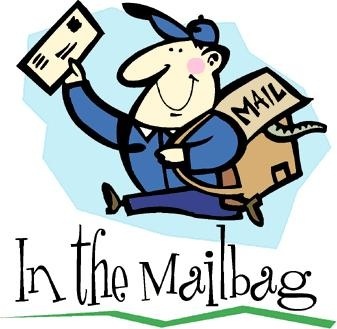 In the E-Letter, there are instructions for signing up for the new podcast feed with a Victor Reader Stream or Trek, another article about volunteering in amateur radio, and an interview with Matt Arthur, KA0PQW, one of our Handiham Program volunteers. Of course, you can also find the regular articles you see here each week. 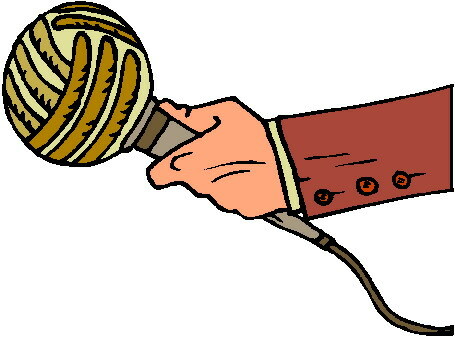 Do you have a story to share about assistive technology or ham radio related activities? Please send your articles and stories via email to Lucinda.Moody@allina.com or by calling me at 612-775-2290. 1. Press the online button to get to the online bookshelves. 2. Press the number 1 key repeatedly until you reach podcasts. That’s it! You are now subscribed to the new Handiham World podcast feed. Each week, your Victor Reader Stream or Trek will retrieve the new podcast when it is connected to wi-fi. Editor’s note: Thanks to John Glass, NU6P, for helping with these instructions. Well, I tried the slinky dipole, and it is a no go. I could not hear any signals on it, and the SWR would not come down. But that’s OK because now I will put up a regular dipole on the balcony. I know that will work because another ham in the building has one on his balcony, and it works fantastically! Below is a YouTube link for this antenna that sounds interesting, especially for those who are in HOA. Let me know any thoughts, and if someone could describe it better for me that would be great. In honor of Volunteer Recognition Week, we have an interview with Matt Arthur, KA0PQW, one of our Handiham Program Volunteers. Please join us for the interview. LM: Do you have any good stories about volunteering over the years? MA: Oh, I don’t know. I worked with a lot of interesting people over the years, people who had a harder time learning CW or something. LM: So how many years have you volunteered for the Handiham Program? MA: A little over twenty years, I guess. I’ve been to both the Minnesota camp and the California camp. LM: What kept you coming back all these years? MA: I think just the people. I always enjoyed helping out, doing the camp. I like to help people, and ham radio kind of gets into your blood—you just have to do it. LM: Yes, it does that! MA: I guess I’ve always just kept at it. I made friends over the years, and that’s part of it too. LM: I would guess over the years that you’ve known a lot of different volunteers. MA: Yes, we’ve seen some of the come and go. I remember back when the guys from Ohio used to come out. They’ve all gotten up there in years, and most of them can’t anymore. I think of other guys like Roland, who I haven’t seen for years, who used to volunteer with us. LM: He was there in 2007 when I was a camper. MA: I think that might have been his last year, or he might have been back one more year. I don’t remember. I’ve seen them come and go and campers come and go. I’ve seen some really good operators come out of the program over the years. I think it is worthwhile to volunteer for the Handiham Program. MA: Of course, when we are not doing camp, there is always something to do—help keep the conference going, or help somebody get on the air with something, or talk somebody through something. I might get two or three calls a month about the TS-2000 or some other rig someone knows I have. LM: So, you’re still doing quite a bit of Elmering. MA: From time to time, yeah. LM: You know, back in the day, I remember you spending a lot of time working with me. You put a lot of hours into that. MA: I remember talking to you on Echolink and not bothering to tell you that you were on the air. That was when I was first starting out with a simplex Echolink node. I had an Icom 3AT and a little interface and a computer. It went into an 11-element beam, which I could pretty much point anywhere and get twenty miles out of it. LM: I remember when you used to talk about going places and would point the beam in that direction before you left. MA: Yeah, I used to do that all the time. That way I would have coverage. It was actually better coverage than I have now, it is just that now I have coverage all over with a vertical. MA: I think what got me into volunteering originally for the Handiham Program was realizing that a lot of members had noise problems. When I moved to Ellendale, I had a serious noise problem—power line noise that was 20 dB over S9 in a 360-degree pattern on 70 centimeters. You couldn’t operate. I made the power company completely rebuild Ellendale from end to end. LM: Did it solve the noise problem? MA: Yeah, and now I have a different power company that works with me. MA: That’s what got me started, and Pat decided that it was a good idea that someone would teach noise hunting. So that’s what I started doing. Of course, I also spent a lot of time teaching about VHF/UHF operation and weak signal contacts. We even tried to do a meteor scatter contact at camp which wasn’t successful, but we sure tried. LM: But you had fun trying. MA: Yeah, it was fun, but we weren’t there at the right time. The season was kind of over, I think. That was in Minnesota. MA: I remember some years at Courage North where we had a tent down below the King Building where we had a VHF/UHF station and sometimes we had HF too. We would have a generator down there, our own stuff down there. We would go down there and start up the generator and away we would go. We would have a small portable tower with beams for 6, 2 and 432. We worked all over Minnesota and down into Iowa on 2 meters with 25 watts most of the time. LM: That sounds like fun! MA: Sometimes we had more power, but that’s when we had guys that could put up antennas like that. But they have passed on since then. That’s why we have to keep recruiting more people to do that kind of stuff. MA: I started when Pat was doing it. I remember going to camp in the 80s when Bruce Humphrys was the director. I don’t really remember him being around camp much. I remember meeting him, and that was it. I didn’t see him the rest of the time. LM: Who would you see at camp? MA: Oh, just all the other instructors and stuff. Wayne Keeney. I can’t remember who they all were back then. Dr. Dave was there, of course. LM: Yes, I think he has always been there! MA: He’s been there from the beginning. I don’t remember who the other instructors were. MA: I still enjoy the hobby. And I still enjoy volunteering and helping people as best we can—keeping things going. And I am looking forward to the camp this year. LM: Me too. I think it is going to be a lot of fun. MA: Hopefully we will have a good group of campers. LM: I think it is going to be a nice group of new campers and some returning campers, so I think it is going to be good. Stay tuned next week for a new interview with Kitty Hevener, W8TDA. E5D02 asks: Why is it important to keep lead lengths short for components used in circuits for VHF and above? If you have ever looked at a VHF circuit, it can look pretty chaotic. Why does it look that way? Circuit builders want the shortest path between each component. They do this for a couple of reasons. First, the wire connecting components can act like an antenna if it is a significant fraction of a wavelength. Second, the wire could behave like an inductor that you don’t want in the circuit. To avoid unwanted inductive reactance, keep your leads as short as possible, making answer B the correct choice. Here are the latest updates on the new Handiham.org website. Don’t forget to monitor the site for updates throughout the week. When changes are made, I will post to the website. You can also find the latest updates any time by going to https://handiham.org/wordpress1/website-updates/. If you have any feedback about the website, I would love to hear from you. If you are a current member and your credentials are not allowing you to login to the site, please contact Pemdy for assistance at handiham@allina.com or 612-775-2291. Equipment connections are happening, and the list is open! If you have a request for the Equipment Connection, contact me, leaving your name and phone number. I will call you to discuss your request. Please note that it may take several days for a return call due to all the other things going on in the Handiham Program. If you don’t hear back from me after two weeks, you may contact me a second time. Additionally, if you have received any equipment from the Handiham Program during the last 12 months, you will automatically be placed at the bottom of the list so that others can also participate in the Equipment Connection. Many thanks to the numerous people who have offered equipment for Handiham Members. 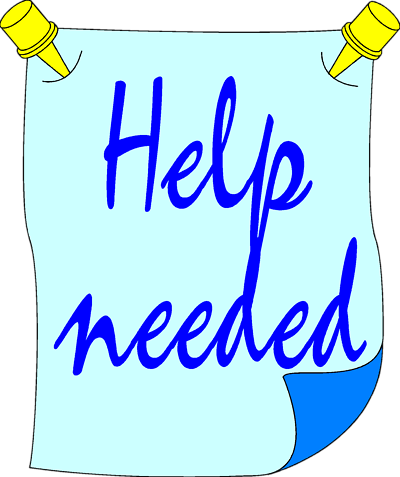 If you have equipment that you would like to donate to a Handiham Program member, please email Lucinda at Lucinda.Moody@allina.com or call 1-612-775-2290. The Handiham Program needs contributors to Handiham World. Do you have a particular interest in amateur radio that you would like to share with others? Maybe you have a particular mode or band you like to operate and have learned a lot about. 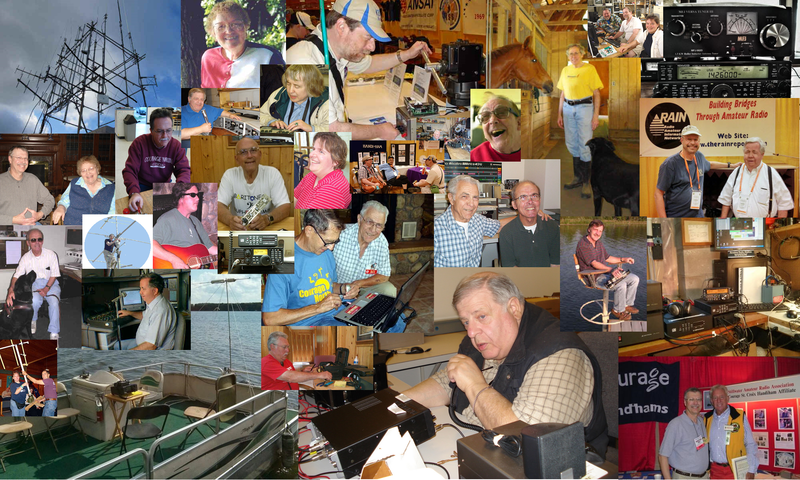 Or maybe you have some great stories to share from your experiences in the amateur radio hobby. Put your writing skills to work for Handiham World by sending your submissions to Lucinda.Moody@allina.com. The Handiham Program needs more readers. While we need some regular readers, we also need some with a background in teaching in STEM related fields, especially if you have also worked with students requiring accommodations. This volunteer position requires you to use your own equipment to record, however, we will provide the reading materials. If you or someone you know would like to try reading material for the members only section, please contact me for more information on how to submit a demo recording. We need help updating our available resources for members. If you are blind and enjoy using your ham radio or assistive technology related devices, your assistance is especially needed. It would be a big help to your fellow Handiham Members if you would record a tutorial or product review. These need to be sent in Mp3 format, and the Handiham Program reserves the right to edit the recordings as needed before publishing in the Members Only section of the Handiham.org website. Please contact me at Lucinda.Moody@allina.com or 612-775-2290 if you have any questions. I want to say a big thank you to those who have made or volunteered to make tutorials for the Members Only portion of the website. We have already had a number of members step up to offer their services, and their help is greatly appreciated! We also have some new readers who are working on some books, so keep watching for website updates as we add more content. Check into our Handiham nets… Everyone is welcome! The Handiham EchoLink conference is 494492. Connect via your iPhone, Android phone, PC, or on a connected simplex node or repeater system in your area. 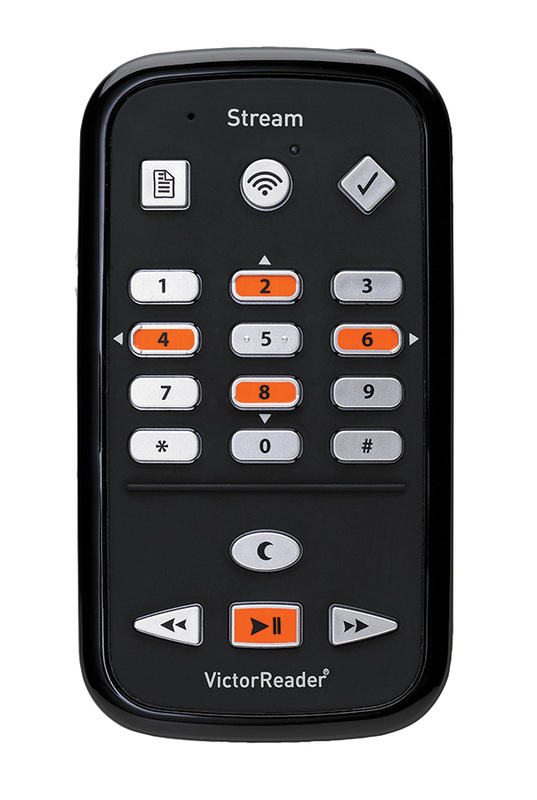 The Handiham DMR Talkgroup on Brandmeister is 31990. On AllStar, it is available at node 47367. The Handiham Net will be on the air daily. If there is no net control station on any scheduled net day, we will have a roundtable on the air get-together. Our daily Echolink net continues to operate for anyone and everyone who wishes to participate at 11:00 hours CDT (Noon Eastern and 09:00 Pacific), as well as Wednesday evenings at 19:00 hours CDT (7 PM). If you calculate GMT, the time difference is that GMT is five hours ahead of Minnesota time during the summer. Doug, N6NFF, poses a trivia question in the first half of the Wednesday evening session, so check in early if you want to take a guess. The answer to the trivia question is generally given shortly after the half-hour mark. A big THANK YOU to all of our net control stations. You can pay your Handiham dues and certain other program fees on line. Simply follow the link to our secure payment site, then enter your information and submit the payment. Note: Mondays through Thursdays between 9:00 AM and 2:00 PM United States Central Time are the best times to contact us. You may also call Handiham Program Coordinator Lucinda Moody, AB8WF, at: 612-775-2290. 73, and I hope to hear you on the air soon! The weekly e-letter is a compilation of assistive technology, operating information, and Handiham Program news. It is published on Wednesdays, and is available to everyone free of charge. Please email handiham@allina.com for changes of address, unsubscribes, etc. Include your old email address and your new address.